We teach all styles from classical, rock, pop, jazz, country, worship, and blues. We provide a well rounded lesson with the music YOU want to play. With 30 teachers at Allegro Pearland Academy of Music, you are sure to find the best match for YOU. Allegro offers a highly qualified teaching faculty. Our instructors have performed at Carnegie Hall, with Houston Symphony, Houston Grand Opera, The Texas Medical Center Orchestra, Da Camera Houston and throughout Europe. Our award winning faculty have many years of teaching experience and most importantly a passion for teaching. Being a musician doesn't automatically make you a teacher. That's why we search for those who are best qualified for mentoring our music students. We search the entire Pearland and Houston areas for the top teachers, who embody the high values of Allegro Pearland Academy of Music. Most importantly, our instructors strive to relate their teaching to each individual student's learning style. In addition to their teaching credentials, our teachers have warm personalities, are extremely friendly, and strive to get to know each student and their parent on a personal level. We search high and low for the BEST teachers, so you don't have to! Our piano teachers teach a variety of styles from classical to popular music. Whether you want to learn a classical sonatina, rock chords, or popular sheet music, our teachers are happy to help you become the pianist you want to be. Our piano faculty will include sight reading, technique and theory into each lesson and will also incorporate your favorite songs into your lessons. Our piano teachers have warm personalities and enjoy sharing their love for the piano with you. The Associated Board of the Royal Schools of Music (ABRSM) is an examination board established in 1889 and based out of London, UK. It is comprised by four of the Royal Schools of Music. The Royal Academy of Music, the Royal College of Music, the Royal Northern College of Music and the Royal Conservatoire of Scotland. Together they form the governing body of ABRSM's exam board. It is the United Kingdom's largest music education body and the world's foremost provider of music examinations. The board offers assessments and qualifications in over ninety countries yearly. The advantage of studying and qualifying with the ABRSM exam system, is the access to a high quality, progressive music education. ABRSM is the most prominent system of its kind in the world, and will benefit you as a musician on an international level. A few advantages of the certificate program is that it allows you to be competitive for scholarships, receive credits on college courses, and expand your repertoire for performances and admissions into music programs at universities. Allegro offers the ABRSM exam program for piano. Contact the academy for eligibility requirements for this program. Our guitar & ukulele teachers teach rock, blues, metal, country and classical guitar lessons on electric and acoustic instruments. Beginner students can expect to work on chords, simple songs and melodies, sight reading, and theory. We balance musicianship and fun by making sure that each lesson you are challenged with a new technical or theory concept, but always end with something fun such as your favorite riff or song. We use a variety of method books to accomplish this and encourage students to bring CDs or their iPod to their lesson to learn their favorite tunes. Our teachers can even help you with instrument repair: such as the set up of your instrument or replacing your strings! Our private voice teachers are classically trained and provide technical vocal instruction in any style of music the student would like to sing. If you would like to develop your voice to its fullest potential we have the right voice teachers for you. Voice students spend time each week doing physical exercises to improve their vocal range, ear training, breath control, vibrato, tone production, enunciation and more. All voice students set goals with their teacher to work toward developing their own unique voice. 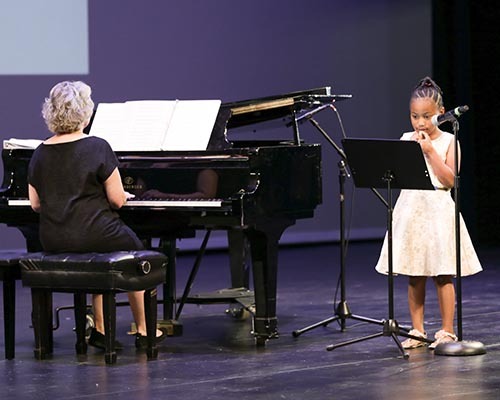 Students age 5-9 who are interested in singing but not yet old enough for formal voice lessons are encouraged to start with piano lessons with an emphasis on voice. The vocal apprentice program is a 30 minute piano lesson held once per week that focuses on learning to read music, play the piano, develop the ear, and light singing as well. This format allows the student to build all the skills necessary to be successful in technical voice lessons which begin at age 10. Our drum instructors will teach rock, metal, jazz, funk, blues and many other styles. Drum language can be complex and our instructors will challenge any drummer with a wide variety of technical exercises designed to improve your speed and comfort. All drummers may bring in their favorite drum parts to learn in their lessons and theory is encouraged. You do not have to purchase a drum kit to take lessons. Beginning students can learn with a drum pad and sticks for about $40.00. We have a full electronic drum kit in the studio. 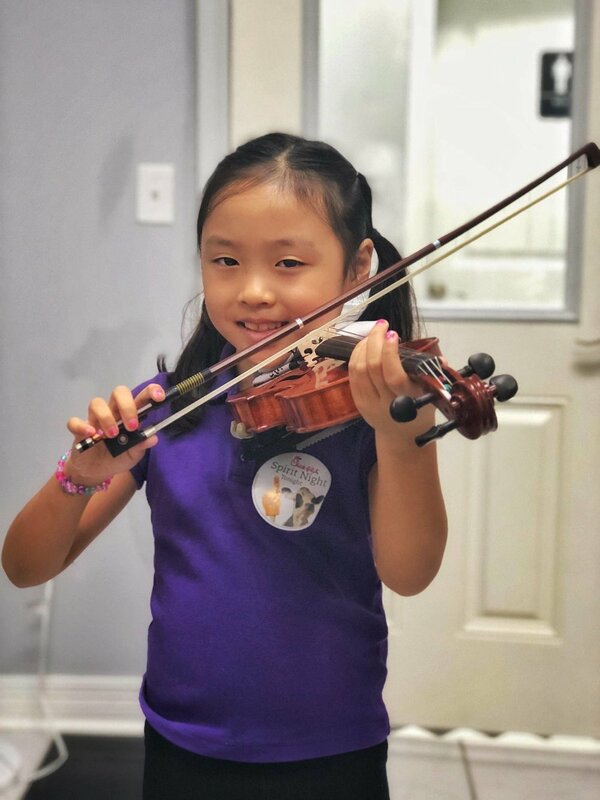 Our string instructors will teach all styles of music, and will incorporate sight reading, music theory, and ear training exercises into each lesson. If you want to play classical music or the fiddle, we have a teacher for you. Students can be as young as 5 years old, or younger with the teacher's approval. 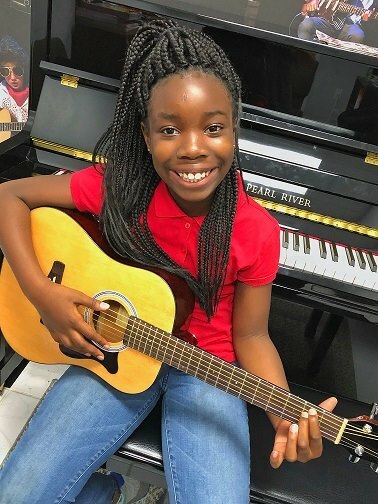 Our students love their well-rounded lessons and the option to play their favorite songs. Our violin teachers have friendly personalities and love working with children, teens and adults! We are the home of the Pearland Youth Orchestra. Students in 5th grade through high school may join the orchestra with the conductor’s approval. Scottish bagpiping lessons include theory, sight reading , and will guide students who progress sufficiently toward the purchase of their first stand of Great Highland Pipes. Piping students start with the classic “Green Book” tutorial guide and the practice chanter, on which all students around the world begin. Students may be as young as 11, and it is never too late to learn! The instrument is challenging, ancient, rewarding and has called men and women to deeds of valor since ancient times. Come join in an important cultural tradition today! The Pearland Youth Orchestra serves to provide the opportunity for Pearland youth to perform with an orchestra. The orchestra is available to students in 5th grade-high school. Orchestra I is held on Thursday evenings from 6:00-7:00pm. Orchestra II is held on Thursday evenings from 7:00-8:00pm at the academy. The Pearland Youth Orchestra performs a Winter Concert, Spring Concert, and at select special events and festivals. Students must be in private lessons and remain in private lessons while performing with the orchestra. There are many benefits to performing with the Pearland Youth Orchestra. Students learn to work together to accomplish a shared task while developing leadership skills, interpersonal skills, and applying what they have learned in lessons. Additionally, students progress at a faster rate than with private lessons alone. Contact the academy for further details. 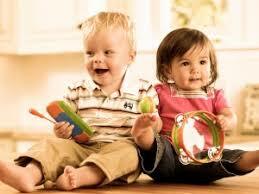 Our early childhood music classes include singing, instruments, movement, and more. Early childhood is the perfect time to explore and experience music with your child. Additional details coming soon! 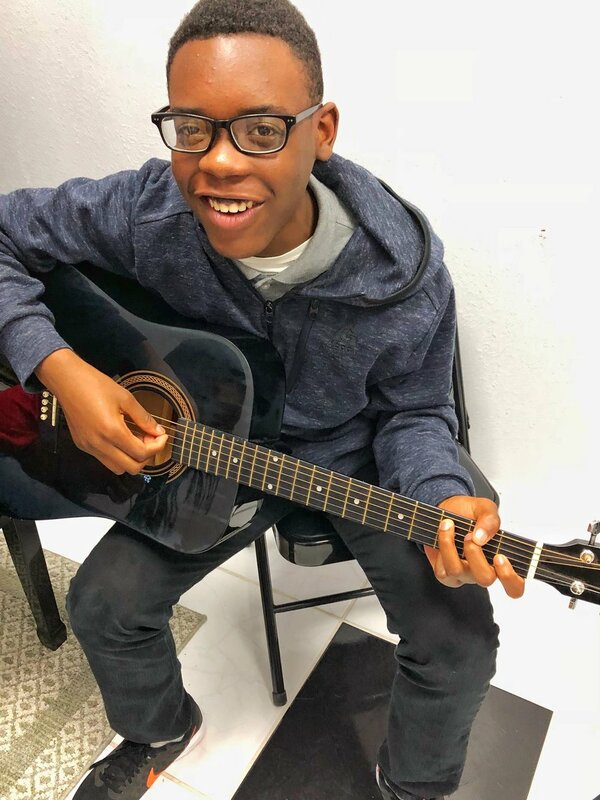 The Allegro Thrive program offers private music lessons in piano, guitar, and ukulele for children with special needs taught by a board certified music therapist. Each lesson is designed for the individual student's needs.